With 12,844 voters and a total of 26,179 votes, the results are finally in. And the winner for 'Best Real Housewives Series of 2017' is... 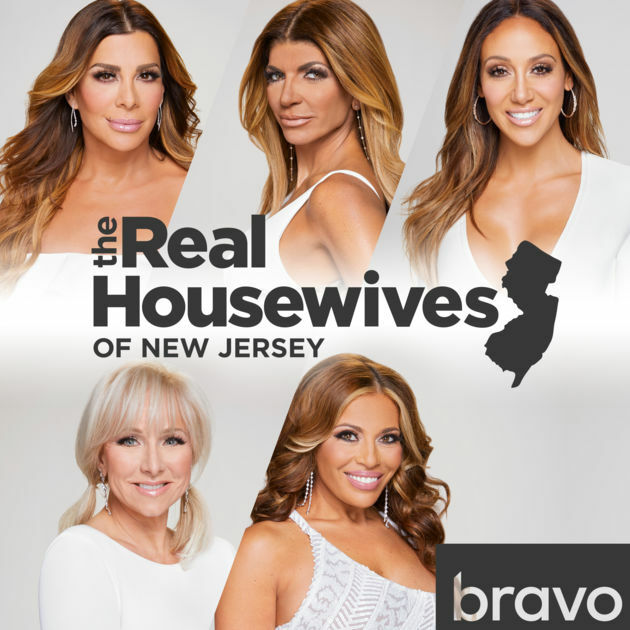 The eighth season of The Real Housewives of New Jersey. 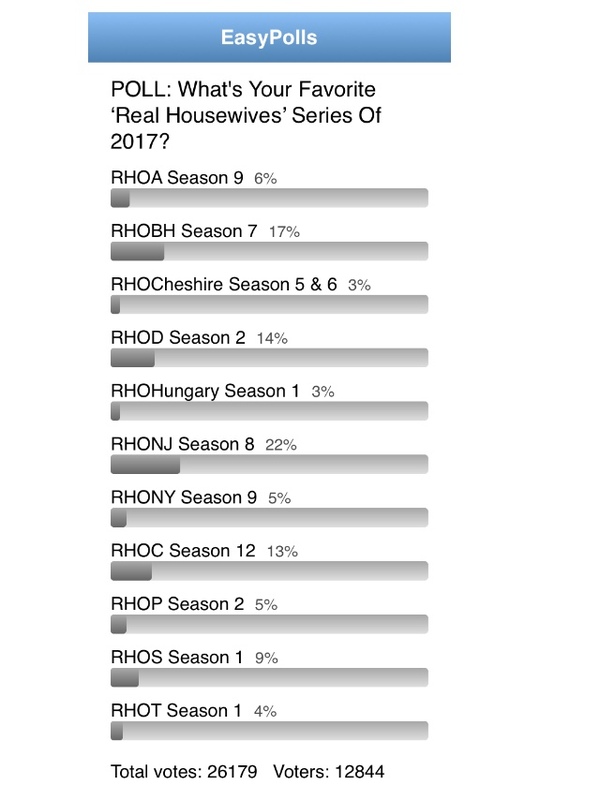 The eighth season the RHONJ was crowned the winner of our online poll for favorite #RealHousewives series of 2017. They won by a whopping 22% — The Real Housewives of Beverly Hills Season 7 came in second with a total of 17%, while The Real Housewives of Dallas Season 2 (which I was rooting for to win) came in third with 14% — Congrats to Teresa Giudice, Melissa Gorga, Siggy Flicker, Dolores Catania, Margaret Josephs and Danielle Staub. Thanks for a fun season ladies, can't wait to see what happens in Season 9. You can view the total poll results below! Are you happy with the poll results? Once again congratulations to the ladies of #RHONJ. Thanks to everyone who voted, until next poll! Question: What should our next poll be? Tell us your ideas in the comment section below! Don't forget to follow us on TWITTER, FACEBOOK, INSTAGRAM, GOOGLE PLUS and PINTEREST!